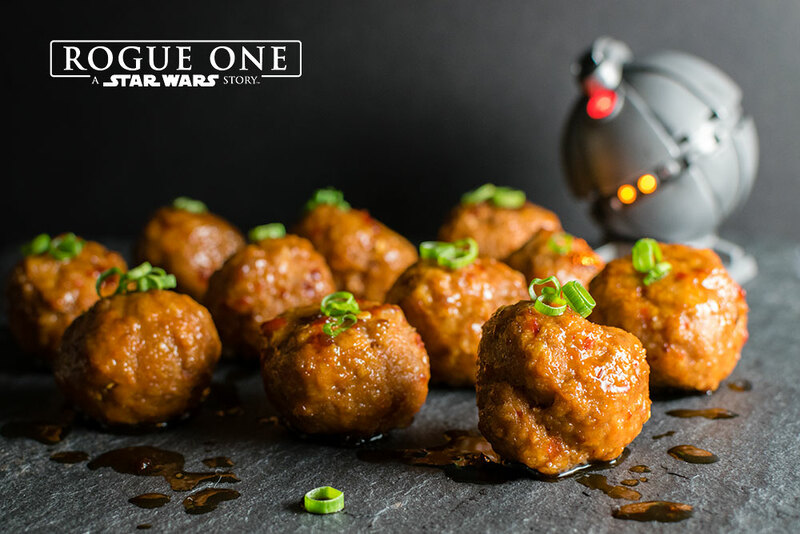 Are you looking for a Rogue One inspired recipe with so much flavor, it feels like an explosion of flavor in your mouth? Well, our Thermal Detonators do just that. Loaded with a ton of flavor, it only made sense to start our trio of Rogue One: A Star Wars Story recipes with a bang! Thermal Detonators are one of the most iconic devices in the Star Wars Galaxy. Thermal detonators are palm-sized, spherical devices that were used as extremely deadly explosive weapons. In addition to being surprisingly powerful for their size, they can only be turned off by whoever turned them on. They are most notably used in Return of the Jedi by Princess Leia when she is disguised as the bounty hunter Boushh. They are mentioned in Rogue One so we felt that it fitting that they get some recipe love. 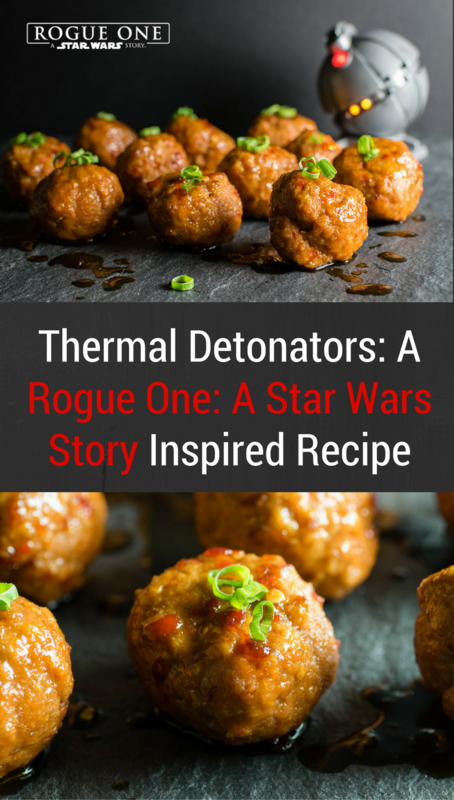 In terms of ingredients, Thermal Detonators use Sambal Oelek to give that blast of heat. Sambal is fairly easy to find and is about medium in terms of spiciness. If you want to add heat, you can add more Sambal to the sauce. If you feel this might be too spicy, substitute Sambal with Sriracha. For the protein of the Thermal Detonators, we used turkey instead of beef for a couple reasons. First, it is healthier than beef which is always a good thing. Second, it allows the ingredients to really shine. We hope you’ve enjoyed the first of our 3 Rogue One: A Star Wars Story recipes. Don’t worry if you miss one as we will be resharing them next Tuesday along with a review of the Blu-ray! Bake for 15 minutes, turning halfway through. While cooking, combine sauce ingredients in a large bowl. 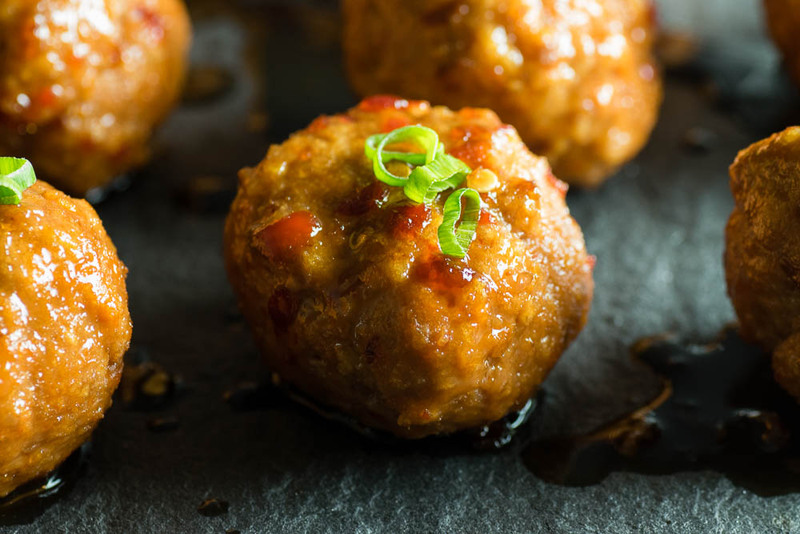 Remove meatballs from baking sheet and toss in sauce. Sambal Oelek can be replaced with Sriracha if you want less heat.